A constitutional convention is not the only means of achieving these purposes. If the main objective is to build cross-party consensus, then cross-party talks are the obvious vehicle (as in the cross party talks which preceded the Belfast agreement, or the current talks on further devolution to Scotland led by Lord Smith of Kelvin). If the main objective is to harness expert opinion, then the best vehicle may be an expert commission. In recent years expert commissions have been successfully used to chart the way ahead for further devolution, with the Calman Commission in Scotland leading to the Scotland Act 2012, and a series of commissions leading to the grant of further legislative powers to Wales. But the extraordinary levels of public engagement during the referendum campaign in Scotland have created an expectation that for proposals to command legitimacy, there must be greater citizen involvement in producing them. The Scottish experience lies behind calls for a constitutional convention. But alternative models exist (for example, inter parliamentary talks); and there is no single model for a constitutional convention (see Alan Renwick’s excellent pamphlet, and Fournier et al’s book When citizens decide: Lessons from citizens’ assemblies on electoral reform OUP 2011). A written constitution for the UK. This would offer the widest scope, encompassing all the above. Further devolution to Scotland, of tax and welfare. What else? Devo more or Devo max? Rebalancing the Centre. English votes on English laws. Entrenching the devolution settlement. Combined Secretary of State for the Union. Federal second chamber. This is a big agenda, and a convention charged with considering further devolution would need to have a phased work programme and prioritise certain items. Depending on the political context, it might decide to prioritise work on the English Question (see my earlier blogpost on The English Question). That brings us to the timetable. This must fit the agenda of the next UK government, and the wider political and electoral cycle. What results (if any) are required before the next UK general election in May 2015, the next Scottish elections in May 2016, the introduction of a British bill of rights, or a possible In/Out EU referendum in 2017? Practical realities mean it would be almost impossible to establish a convention before the May 2015 election. In other countries the lead in time required to set up a convention from the formal decision to establish one has typically been six months (see column 2 in the table below). Informal negotiations within the governing party and with other parties can extend that time further: in British Columbia and Ontario it took two years from the initial decision to establish an Assembly to the Assembly starting work. 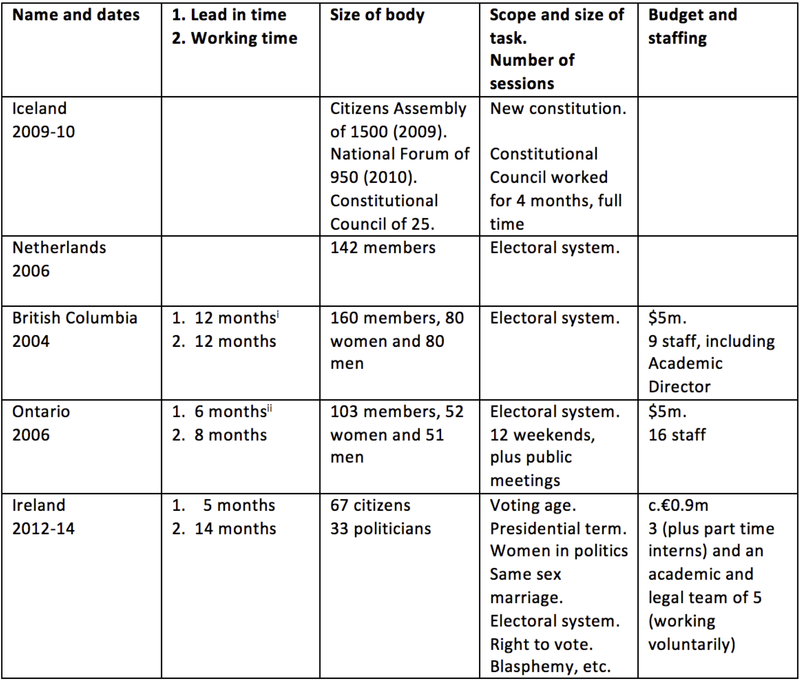 The table below shows the scope, timetable, budget and staffing of previous conventions. It is incomplete, and I would welcome help in filling the gaps and adding details of other conventions, but the data suggest that establishing a convention is a big and complex task, requiring careful planning with long lead in times. Once established, the timetable of a convention will depend on what it is asked to do. Three of the conventions listed above had a single task, devising a new electoral system. The Irish convention had eight tasks; the Icelandic convention a single huge task, creating a new constitution. The timetable will also depend on the size of the convention, and its working methods. The larger the convention, and the more participatory and inclusive its working methods (eg holding regional meetings), the longer it will take to complete its task. Much has already been written about the different options for selecting citizens to serve on a convention so that it is representative of all parts of the UK, and of gender, age, socio-economic background, ethnic minorities, disabled people etc (see Alan Renwick’s pamphlet and the Electoral Reform Society evidence). Ensuring adequate representation from all parts of the UK and all these different variables may result in a large convention: the Electoral Reform Society suggest 200-220 people. That in turn would require a large budget, for servicing large meetings, travel etc. The two Canadian conventions each cost $5m. The Irish convention cost only 1m euros, but was squeezed very tight: those involved say it needed twice the time and twice the money to do justice to its remit. In an age of austerity, with further cuts to come, a Rolls Royce convention may not be feasible. Proponents will need to think how far the size and cost can be scaled back without compromising the integrity of the exercise. Even a scaled back convention is likely to cost low millions. If the government decides not to establish a convention, it is unlikely that anyone else could afford to do so. But it is conceivable that civil society organisations might try, through a large donation or innovative fund raising through crowdsourcing. They would then have to decide the terms of reference, the timetable, the membership, budget and staffing of the convention, and they would be responsible for the success or failure of the enterprise. Again, much has been written about this. The convention will need a strong online presence, with an excellent website, podcasts of all its sessions, and imaginative use of social media. It will need to commission and publish evidence, hold public meetings, and it may want to publish working papers and consultation papers. It will also need the ability to commission expert reports, to establish sub committees or expert committees, to commission polling data or other research. An expert panel can help to advise the convention, source and brief the relevant experts, and ensure it draws upon the widest possible research and evidence base. Finally, the convention needs to maintain strong links with government and with Parliament to ensure that it carries them along with its thinking. Other conventions have failed in part because they have been too removed from the political process. One way of bringing the two together is to include politicians in the convention, as in Ireland where one third of the members were politicians, and two-thirds ordinary citizens (with mixed success, leading one adviser to suggest that any future convention might have only citizen members and a separate panel of parliamentarians as a conduit and sounding board). Another is to require the convention to deliver an interim report, and then to hold a parliamentary debate so that parliamentarians are informed of the convention’s thinking, and can feed back their initial reactions. A constitutional convention sounds an attractive idea. But a convention established hastily, overloaded with too many tasks, inadequately staffed or required to report too quickly is almost certain to fail. That will be damaging to the cause of deliberative democracy as well as to constitutional reform. Those who call for a constitutional convention have focused almost exclusively on its membership, and how those members would be selected. As much thought needs to be given to its purpose, terms of reference, timetable, budget, leadership and staffing, as well as its links to government and Parliament. If equally careful thought and planning is given to all those things, a convention stands a much greater chance of success. Robert Hazell is Professor of British Politics and Government & Director of the Constitution Unit. [i] The government that established the BC Citizens’ Assembly was elected in May 2001. It had promised an Assembly as part of a more ambitious reform package that included new public accounting standards, open cabinet meetings etc. There was some opposition in caucus to the idea of holding an Assembly, so it took time for the Premier to generate the necessary support. An expert, Gordon Gibson, was commissioned to prepare a plan for the Assembly, and reported in Dec 2002. In May 2003 the legislature endorsed the proposal, with amendments, and the government’s proposed chair. In August the selection process started with the first mailing of invitations. Selection meetings around the province went on over the fall and the Assembly was then ready to meet in January 2004. 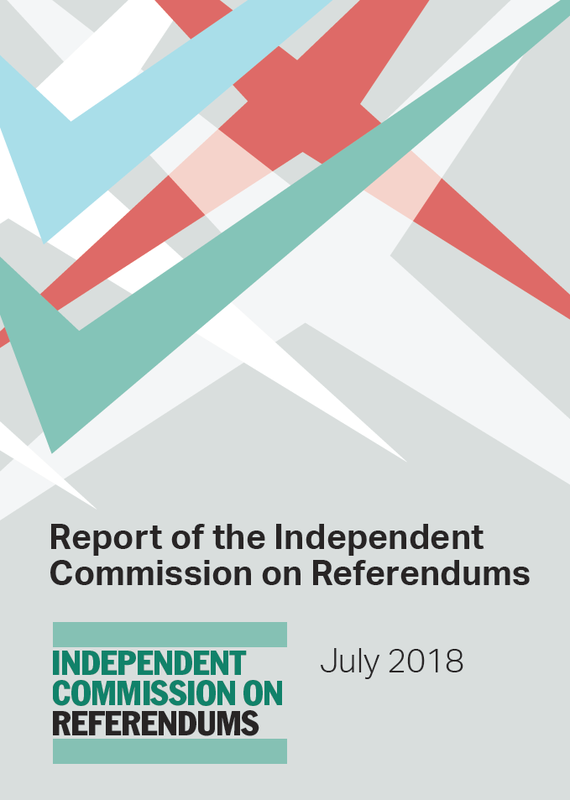 [ii] It took 18 months from the Premier’s announcement of his intention to establish a Citizens’ Assembly, in November 2004, to the Regulation creating the Assembly and appointing the chair in March 2006. It then took a further six months to set up the Assembly, which started work in September 2006. This entry was posted in Constitutions and constitution making, Devolution and tagged Barnett formula, constitutional convention, constitutional reform, robert hazell. Bookmark the permalink. I was about to write in an essay that the overall debate on the UK constitution is highly unstructured, when I found your blog entry. It is greatly encouraging and provides a basis from which to proceed. 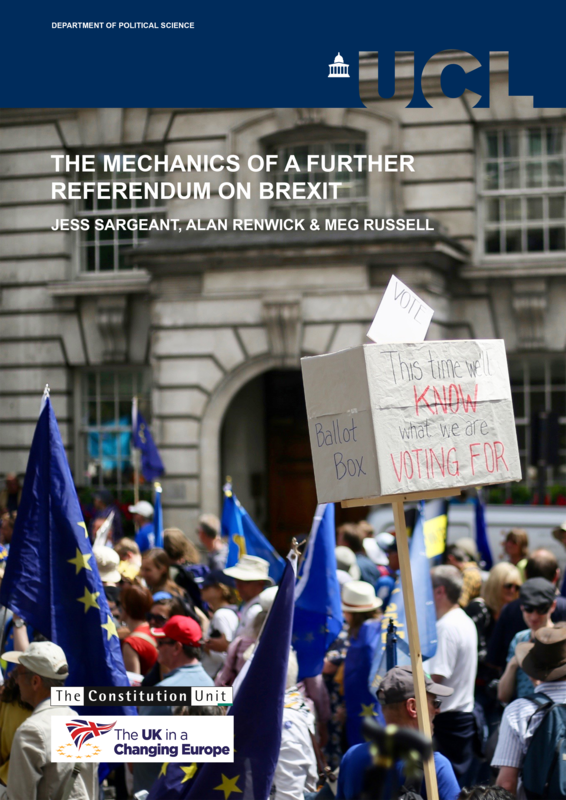 Ultimately your thoughts and also the comments provided by Simon Burall and David Howells appear to lead to the concept of a long-term Citizens’ Association shaping and controlling the political system in the UK. The model is described in detail at: http://optimizingdemocracy.org/the-model/ . •	It provides an effective space to discuss and check the potential and necessary goals connected with re-designing the Constitution. It will make sure that the most critical issues are addressed first. •	The concept – a permanent Citizens’ Association shaping and controlling the policy making system – will ascertain that sufficient time is available to design optimal solutions for the many open issues you mention. •	Establishing and relying on a highly effective “know-how system” will ensure that the best know-how will be available to solve the open constitutional issues. •	A crucial issue in light of the discontent of the people with politics and the increased support for protest parties: The concept will give the people a constructive channel to (re-)gain ownership over and to engage in shaping and controlling democracy. The concept may appear novel or even unrealistic from the perspective of traditional political science. But how to proceed? We need to design better approaches to establish effective policy making. Ultimately no system works without effective control. The people, as the stakeholders and highest sovereign in a nation, must control democracy, at least those people who have the time and capacity to engage in shaping their policy making system. They must join and take action. The model should in any case serve as a concept of the required structures and of what we must aim for, i.e. to engage as many citizens in the control process as possible, best all. On the crucial issue of who should be involved in designing a new Constitution, the model underlines that it is by no means primarily the politicians who need to take action, but the people, the citizens themselves. It reflects the declaration by Lincoln that democracy, next to “of” and “for”, is government “by the people”. You rightly recommend that the first issue which has to be clarified are the goals of the process. This suggestion appears simply rational at first sight and is also in line with systemic problem solving methodologies which call for a detailed review of the goals from various perspectives as the first step in a problem solving process. The present debate on the Constitution and the reality of policy making suggest that the principle is not as obvious as it may appear – or that it is at least neglected in many cases. Which goals should we concretely pursue in designing a new Constitution? As you point out the present focus in the debate appears to be on issues of devolution and the “English question” etc. If the task of the policy making system is to promote the well-being of society and to protect it from any threats we must, however, address the most important issues first. From my personal perspective the most critical issues of our time appear to be unemployment, increasing poverty, discontent of the people with their democratic systems, the tendency to vote for protest parties, the increasing risks for the social and political stability of society, and then a number of concrete critical policy issues as for example described by Al Gore in his book “The Future”. Among other issues he mentions the destruction of employment through global “robosourcing”, the irresponsible destruction of the planet by humanity through global warming and the over-exploitation of global resources, the surveillance through governments and corporations, and the risks for the dignity of human life through biogenetics. Many observers warn that we appear to be on our way to a Brave New or Orwellian Word. While these issues are critical and threatening for the UK and the world, a severe problem for UK society appears to be that the government (and policy making system in a wider sense) is not as effective as it must be and not capable to handle these threats adequately. 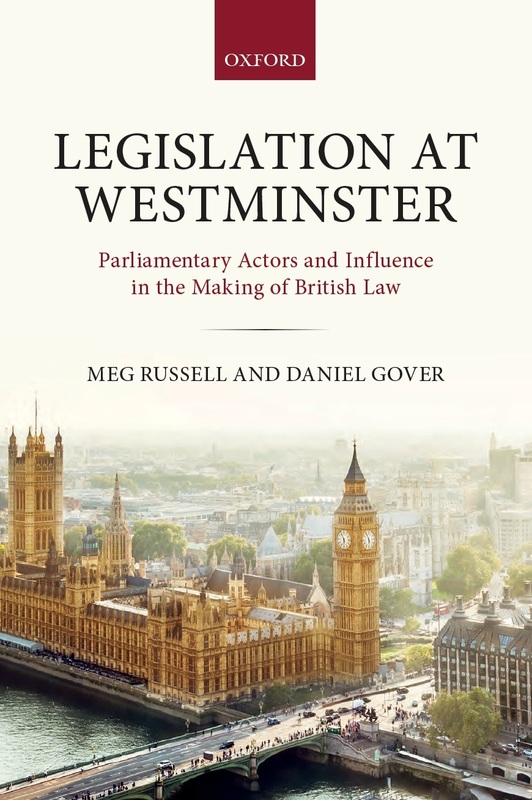 The book by King and Crewe on the blunders of British governments documents these shortcomings in government policy making in detail. Parliamentarians have, furthermore, diagnosed severe deficits in the strategy making capacity of government, the foundation of all policy making, deficits which cause great damage to British society in different policy areas, as the parliamentarians point out. These thoughts suggest that making the British government system effective so it can handle the critical policy challenges of our time adequately should be the prime goal of a review of the Constitution. Certainly, appropriate structures of regional representation are one element of an effective democratic policy making system, but only one element. They will, however, not ensure that the overall policy making system operates with the degree of effectiveness necessary for the system to cope effectively with the critical issues of our time, such as unemployment and increasing poverty for example. You and also Meg Russel in her suggestions on a Constitutional Assembly (blog post Oct 17) debate which know-how would be required for a new Constitution, expert know-how, the know-how of politicians, and/or the know-how of regular citizens and how to best incorporate this know-how in the process of re-designing the Constitution. In this context we should note that the concept of crowd-sourcing mentioned by you not only helps in raising the financial resources required for a project, but is also suited to facilitate the generation of the very best know-how on political and constitutional issues. Engineers and systems thinkers can say many things on how to make processes effective, but also a practical housewife may have valuable insights to share. As you point out, creating an effective constitution all in all is a highly complex project. Know-how in project management is, therefore, also required to ensure that the process of generating a new constitution is structured effectively. Generally furthermore identifying the best problem solving methods is necessary as a foundation for creating the best structures and processes for the democratic policy making system. All in all, the “know-how system” must be as open as possible to allow thoughts and input from anybody who may have something to contribute. Such openness appears necessary to exclude the pitfalls of any sort of “group think” described by King and Crewe and to avoid all ends up as a particularly critical “blunder” alienating the population further, a risk which Simon highlights. Too much is at stake to not look for the most methodical and effective process for moving ahead. 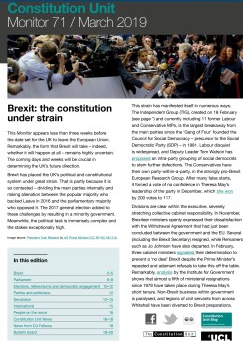 Much of the debate on constitutional matters appears to be conducted in a rather deliberate fashion over the years, except for periodic greater action due to the Scottish referendum and the expenses scandal perhaps, but rather detached from the critical developments going on in the UK and in the world. Those developments imply, however, that we must come to concrete results as soon as possible. Many people do not see the relevance of an effective Constitution or of creating “an effective policy making system” for their well-being and or maintaining the world for future generations. Generally, people prefer to get involved in campaigns on more “tangible” matters and of more immediate concern for them, such as a proposed infrastructure project in their neighbourhood. Many citizens simply do not have the time and capacity to get involved in debating constitutional issues. This appears to be a normal attribute of life. Those who deal with and understand the relevance of constitutional issues (or, in other words, the necessity “to shape and control the effectiveness of the democratic policy making system”) need to join efforts and discuss how to move matters forward. They need to identify effective processes to get from debate to high quality results. 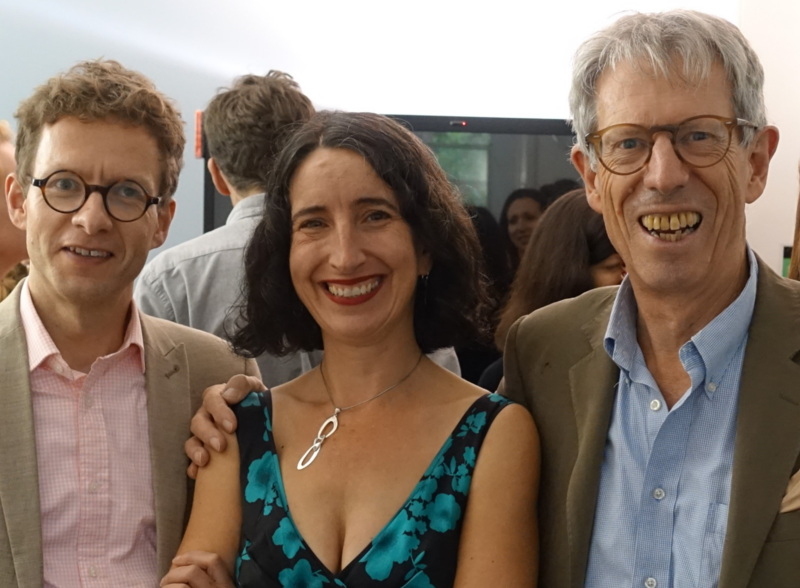 How would you feel about getting a circle of interested people together, including perhaps Simon, David, Meg and, as suggested, also people with other backgrounds, a sort of work-shop, which clarifies how best to move on? Such an initiative would appear of critical relevance for the future of the UK. Waiting for random contributions on the web does not appear effective and wasting too much time. If we want our policy system to be effective our own efforts will have to be institutionalized and structured effectively. I have read your blog on a Constitutional Convention with interest and admiration. Congratulations on such a lucid articulation of the many complex ssues. One is, I have to say, left with the feeling that it would not work. •	A widespread feeling among the political elite that the status quo was untenable and that something had to be done. A constitutional solution was relevant to practical problems. •	The existence of a core of very able and sophisticated men who had thought hard about the issues and who tended to lead the proceedings. I doubt whether either of these features is present in the UK today. What are the problems which concern most people? They include meeting the bills, finding and financing a property, immigration and demographic change and the collapse of traditional family structures. At the macro level we have longevity and the impossibility of meeting long-held promises to finance healthcare, pension and benefits. Not to speak of our relations with the European Union. Many of these problems are well outside the reach of government and politicians. It would be difficult to trace a link to constitutional change or a convention. In terms of ability levels I would draw analogy with the useful idea of ‘social capital’, something which we appear to be haemorrhaging. Our stock of political capital both at national and local level, appears to be in sharp decline. Of course it is always tempting to idealise the past, but I still believe this to be the case. In order to plot a course through the complexities you describe there needs to be a sufficient level of ability and commitment. I question whether it exists in our liquefying political system. Finally I commend ‘The Treaty’ by Ed Conway, an amusing and informative account of the Bretton Woods Conference of 1944. There are many learning points relevant to constitutional conventions. Robert, really useful post, thank you. I totally agree that a convention that is established quickly against a backdrop of narrow party political point scoring in the run-up to the election will be a disaster. All our experience at Involve tells us that spaces to engage with citizens that are badly designed further reduce trust and make it harder to involve citizens next time. Something as profound as devolution and constitutional reform can’t be rushed if it is to be designed in a way that citizens can have meaningful input. There is a wider point that needs to be taken into account too, and it is that any convention needs to be nested in a much wider public debate. At a time when society is more networked than ever we can’t expect any convention to operate in isolation (we no longer rely on horses to carry news from Philadelphia about constitutional debates). It must be designed in such a way that the wider society debate can provide input and challenge without overwhelming it with noise and political point scoring. This is no easy task and again speaks to the need for slowing down; we aren’t doing democratic reform for the next election, these changes have the potential to impact for generations. Finally, and to risk contradicting myself, we can’t slow down so much that politicians are allowed to kick this into the long grass. There is a political moment, and real political energy within communities in Scotland at least. We must capitalise on this and create a reform that makes citizens proud of our democracy again.